He’s back, and I’m thrilled, being a huge fan. 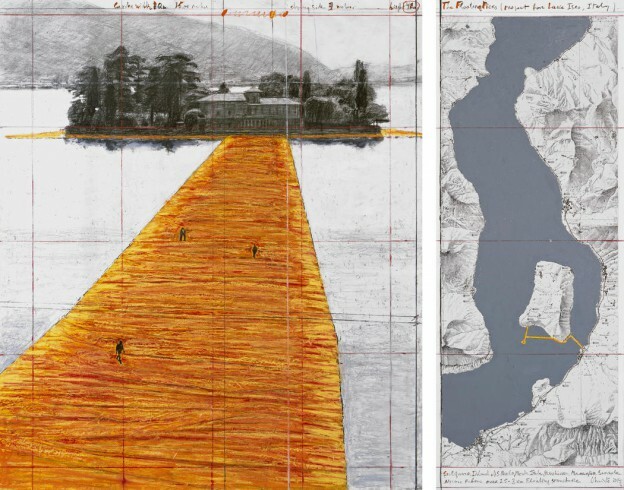 The Floating Piers is Christo’s first work since the death of his wife and collaborator Jeanne-Claude in 2009 (they were also born on the same day in 1935). Other works by Christo and Jeanne-Claude include Surrounded Islands and, possibly his best known work, Wrapped Reichstag, completed in 1995. Happy weekend. This entry was posted in design heros., happenings. and tagged art, Christo and Jeanne-Claude, installation, The Floating Piers on May 1, 2015 by owls house london.. Walking along ‘ribbons of sunshine’ sounds glorious J !